Silhouette 8 inch x 12 Cutting Mat Replacement at Simon Says STAMP! CUT-MAT-8 /1.6 This item is on reserve until If you would like to reserve this item now, you may purchase it now with the rest of your order. We will hold your order now and ship your entire order as soon as this item is back into stock. If you would like your order to ship now, please place this item on a separate order. Success, Silhouette 8 inch x 12 Cutting Mat Replacement has been shared! This cutting mat has a 8 x 12 inch cutting area and is intended to be used with the Silhouette Portrait™. The mat features a strong tack that doesn't tear thin papers, but will last a long time. 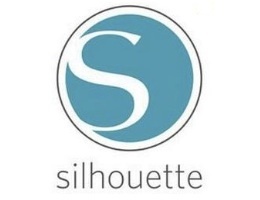 Based in Orem, Utah and founded in October 2009, Silhouette America is a manufacturer of arts and craft products, including the industry-revolutionizing Silhouette electronic cutting system. Silhouette continues to innovate products and technologies aimed at allowing creative people everywhere the most options and fewest restrictions for electronic cutting, designing and crafting. Silhouette is a company dedicated to bringing the best tools to the most creative makers on earth!